ezSearch business directory - ezSearch business directory: Africa directory and search engine. Starting at business number 13. South African businesses advertise for free. First National Bank (FNB) - Vehicle and asset finance, credit cards, loans. 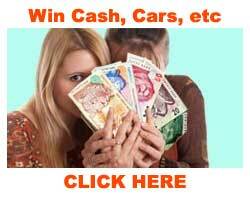 Get a million a month account and stand to win a million Rand each month, every month. South Africa accommodation offered by Sleeping-OUT, a portal offering hotel, guest house, b&b, resort and self catering apartment accommodation nationwide. Accommodation in Southern Africa | SA | South Africa Accommodation Accommodation in Southern Africa, Sleeping-OUT, South African Hotels, Resorts, Villas, Guest Houses, Apartments, Self Catering and Bed & Breakfast accommodation in South Africa. Information about business in Centurion, South Africa, including a business directory and statistics regarding Centurion. A directory of private schools in South Africa, showcasing private schools in Cape Town, Johannesburg, Durban and other cities in South Africa. Used Agri equipment at your fingertips. MyRoof.co.za is the only website in South Africa to show floor plans for every property listed. All properties listed are private sales. We offer free listings to our customers and no commission. At MPOWA Finance, we've created a better way for you to get the cash you need to pay bills, avoid bounced cheques, or cover unexpected expenses. MPOWA Finance | SA's Cheapest Loans | Cash Loans At MPOWA Finance, we've created a better way for you to get the cash you need to pay bills, avoid bounced cheques, or cover unexpected expenses. Apply before 1pm and you can have R500 to R2500 in your bank account by 5pm TODAY!